At Denver Place, 999 18th Street, Denver CO, 80202. K Contemporary and Denver Place are proud to announce their inaugural art exhibition by artist, Sarah Winkler, as a result of their art programming collaboration at Denver Place exhibition space. The vision for this partnership is to create engaging experiences and conversations between Downtown Denver residents, visitors, and the pubic and prominent national and international artists’ bodies of work. 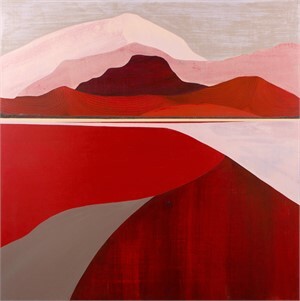 The leading culmination of this joint venture is Sarah Winkler's Exploration: A Survey of Recent Paintings. This inaugural exhibit promises a deep and dazzling look at the undiscovered country that lies beneath Colorado’s signature landscapes, each dramatic painting built upon solid strata of creative insight and intimate familiarity with its monumental subject. “When I look at a mountainous landscape, I see a moment caught in time. A layer of rock and fauna resting between climatic and geological events. Their surfaces scarred by glaciers, the ridge lines formed by tectonic uplifts and erosion. All evidence of a landscape that has experienced dramatic shifts in character over the eons." 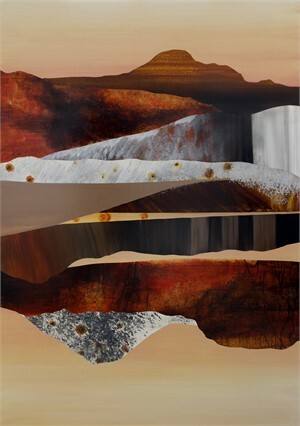 Winkler explores the geological story through process and materials. 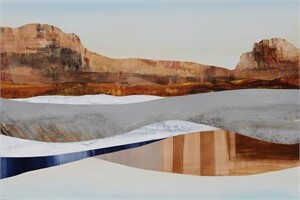 Beginning in a miniature collage format that leads into her fully realized, large-scale landscape paintings, abstracted textures, based on fifteen basic patterns found in nature, emerge on the surface using both brush and unconventional tools. The layers of paint are eroded through pressure and friction to build a history of geological marks and gestures. Color palettes emphasize the seasonal color shifts and qualities of luminosity over high altitude landscapes. “All artists’ materials at one point came from the Earth, and many of our colored pigments still do. 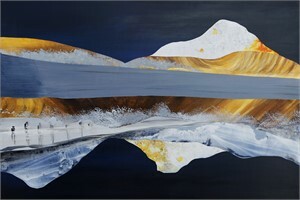 I often incorporate minerals like marble dust, mica flake and pink granite into my paintings to deepen that connection to the land and to create moments of discovery in each work.” It is this relationship between materials and the creative process that is the connection to the landscapes the artist interprets. 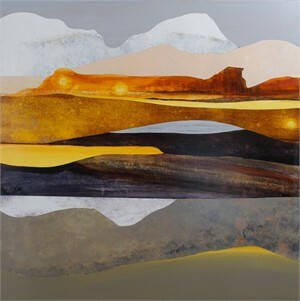 In each of her art works, Winkler employs a spatial painting technique called "equivocal space", which alters depth perception through color, composition and media to keep the eye engaged and journeying around the image. 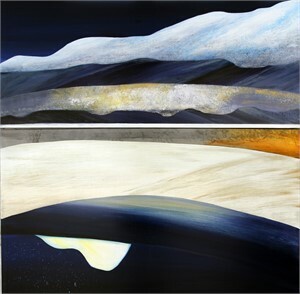 “It is a way that conveys how we move in time through actual landscapes,” Winkler says. 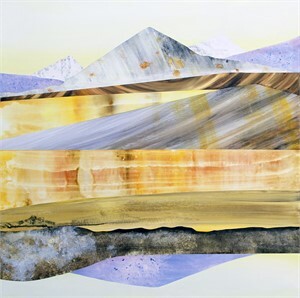 In all her work, Sarah Winkler explores geology as the essence of creation and keeper of combined histories. “My works have a traditional subject matter – landscapes – but they’re executed in a labor-intensive and unconventional manner with a nod to the past and a vision of what’s next”. Sarah Winkler was born in Manchester, England and resides in Morrison, Colorado. 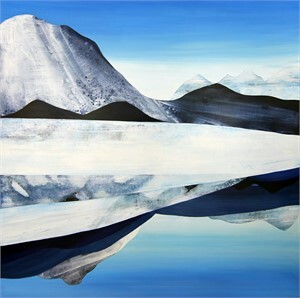 Winkler studied Art and Earth Science at William Paterson University and combines both subjects in her landscape and environmental based artwork. 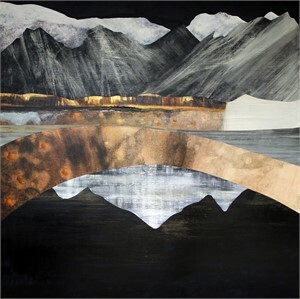 This international favorite of private and corporate collectors, has been exhibiting since 2004; her work was showcased at the LA Art Fair and Art Aspen in 2018 coinciding with a major solo show "Luminous Mountainous" in Denver at K Contemporary. Her work is featured in many prominent private, corporate and public collections including: Hilton, West Palm Beach, FL, Cosmopolitan Hotel of Las Vegas, NV, One Empire Pass, Park City, UT, Chevron, San Ramon, CA, The Phoenician, Scottsdale, AZ. Her work has been honored with features in CREATE! Magazine, Scientific American, Alpine Modern and New American Paintings. A documentary on Sarah Winkler by Making Art Films will be released in late 2018.